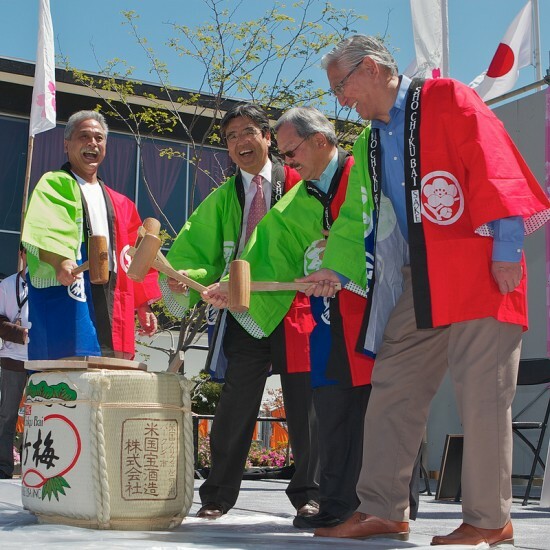 The 45th Northern California Cherry Blossom Festival got under way Saturday in San Francisco Japantown. The opening ceremony included the unveiling of a U.S. postage stamp celebrating the centennial of the cherry blossoms in Washington, D.C., a gift from Japan to America. 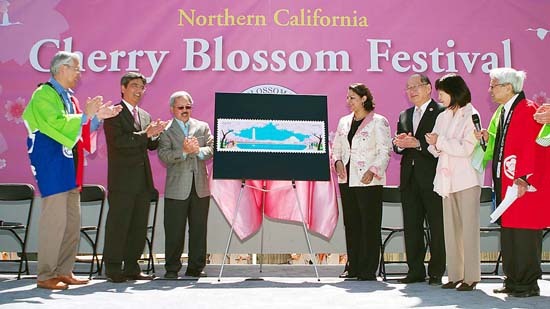 Pictured from left: Cherry Blossom Festival Co-chair Allen Okamoto; Consul General Hiroshi Inomata; San Francisco Mayor Edwin Lee; San Francisco Postmaster General Raj Sanghera; Japanese Chamber of Commerce of Northern California President Hiroshi Haruki; Asian Pacific American Heritage Foundation President Claudine Cheng; emcee George Yamasaki from the San Francisco Human Services Commission. 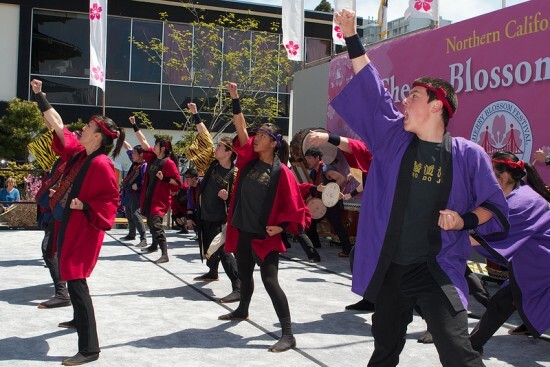 Among those providing entertainment on the Peace Plaza Stage were San Francisco Taiko Dojo (above), led by founder Seiichi Tanaka, which opened with “Soran Bushi”; and (below) students of Japanese classical dance instructors Michiya Hanayagi and Michisuya Hanayagi. 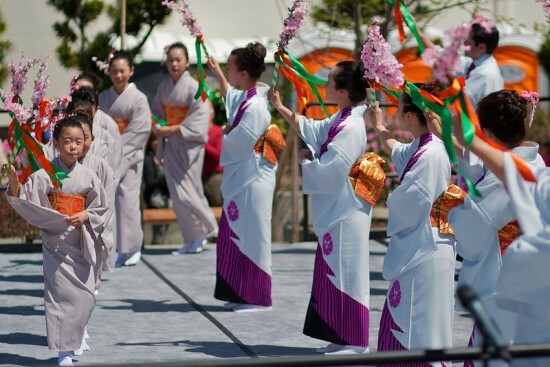 The festival features local performing groups along with special guests from Japan.